A 28-year-old woman was beaten to death by her husband when she threatened to divorce him on account of maltreatment and regular violent physical attacks. The husband is facing a 16-year prison sentence after he beat his wife into a coma, filming it so that he could show off to his friends. 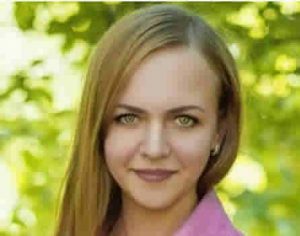 Anastasia Oviannikova died six days after the horrific attack at the hands of Maxim Gribanov in Lebedyan, western Russia. He struck her repeatedly to prove that he had her ‘under control’ when she told him that she wanted to leave him. Pictures from the brutal attack show her on a sofa with bruises across her entire body. When she was taken to hospital, Anastasia, 28, was found to have severe bruising, internal bleeding and several broken bones. She slipped into a coma and as a result of such horrific injuries, she never woke up and died six days later. A family friend said: “She was so full of hope and fun but this man destroyed her life. However, after suffering years of abuse, bullying and intimidation, she was too scared to leave him in fear of what he would do. Yulia Kuznetzova, a police spokeswoman, said: “At first, the man was charged with assault, which caused severe damages to the woman’s health.